try to throw-up. I’m in love with my best friend. He’s known to have crying fits. Runs naked all the time. and wheezes. My father drinks seven cups of coffee a day. His hands shake. Macho meows and meows. A deep, melodic sound. He’s my feline hero. I have many names: Penelope, Kelly, Abigail. in her lap. She has blue, protruding veins like swollen rivers. in my spleen. Tiny red bugs swarm the window screen. ill-coordinated. One of them starts to bleed. hands on hips, chant, Flat Leaver, Flat Leaver, Flat Leaver. I leave everyone flat. Ashamed of my breath, smell, cells. my grandmother grabs my arm and says, Que línda, how chubby she is. 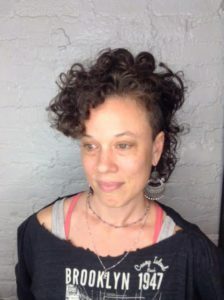 Leila Ortiz was born on the Lower East Side of Manhattan and raised in Park Slope, Brooklyn. 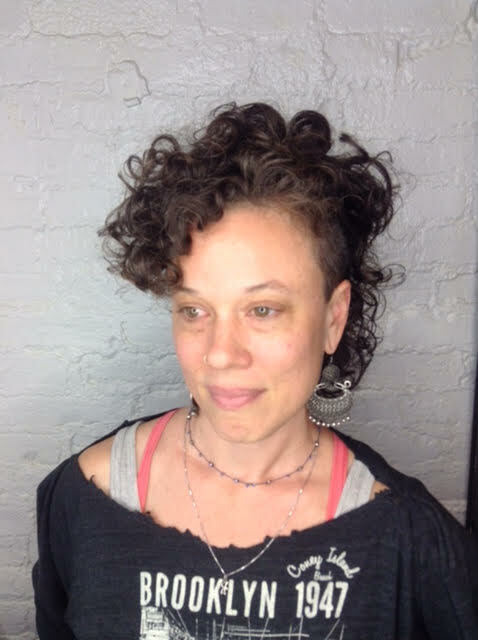 Leila is of Puerto Rican, Cuban and Irish descent and works in NYC public schools as a social worker. She is the author of two chapbooks, Girl Life (Recreation League 2016) and A Mouth is Not a Place (dancing girl press 2017).